Beside our standard kit PKI 9910 we herewith offer the advanced model PKI 9915. The contents of this case almost offer a universal application for investigative work at the scene of crime. 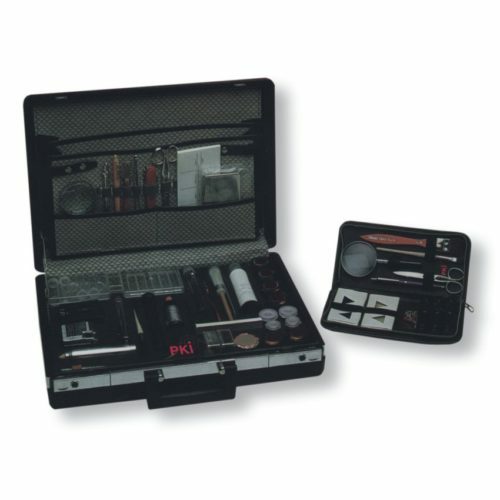 Although having an enlarged range of tools and materials, it is still supplied in a handy case.